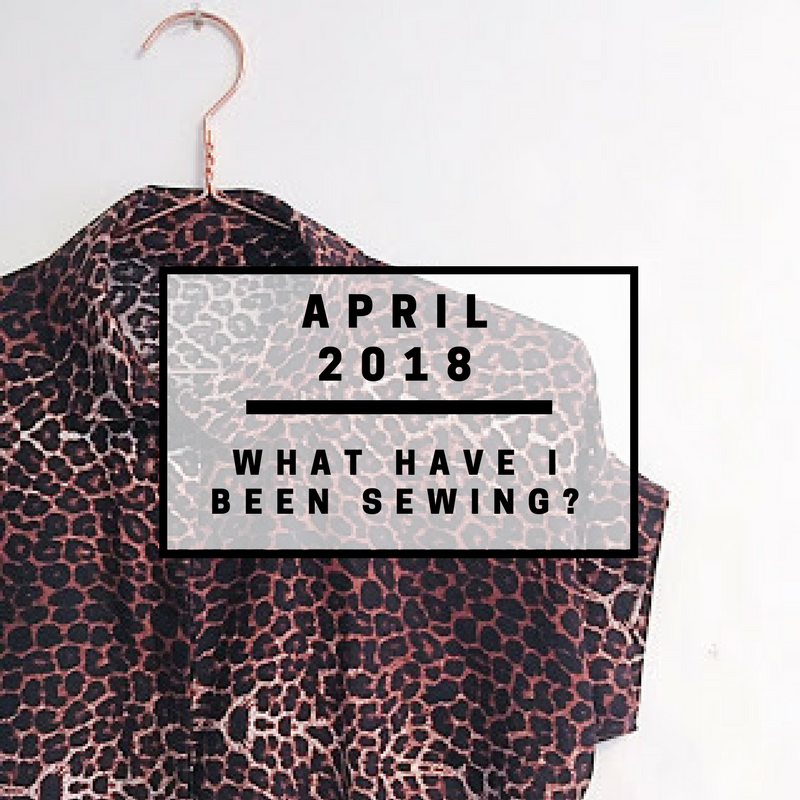 April 2018 - What have I been sewing? 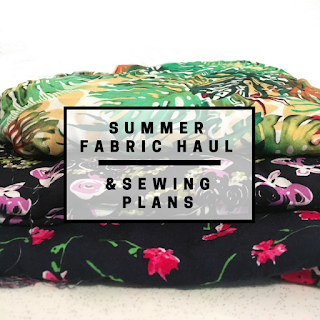 You may remember that I managed to do a pretty decent fabric haul in February where I picked up some lovely fabrics from Minerva Crafts and ebay. My plans pretty much went to plan apart from the beautiful floral viscose (more on the later). I managed to create transitional pieces which will bring me from Winter to Spring (or you know.. snow in the middle of March). First of all, my second Deer & Doe Melilot shirt was a dream to sew up. 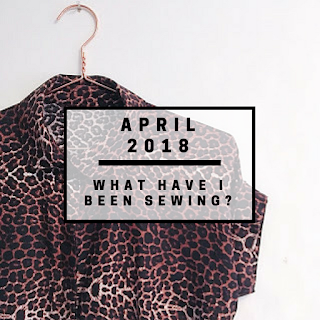 My full pattern review features the shirt, made of animal print viscose from ebay. The shirt was quicker to sew than the first, because I chose short sleeves rather than the long sleeves (and plackets.) Plackets were not my friends during the first make. I love this shirt, it's perfect to wear with skirts, jeans or even under pinafores. My next make this month was a Tilly and the Buttons Cleo dungaree dress. I've made several of these before and it's such a great pattern to make (but you all knew that anyway). There had been a maroon cord verison in Topshop for years and it kept haunting me on Pinterest. Strangely, I struggled to find maroon cord - my local Fabric Land had sold out and it didn't seem like it was getting replaced. Thankfully, Minerva Crafts had some great value maroon cord - BINGO. Instead of the usual clips/button combo, I decided to try out a simple tie strap hack. My colleague has a collection of beautiful dungarees from an indie designer in this style and she let me copy her. As you can see, the straps tie at the front. I created a slim loop and attached it between the facing and the front of the dress, then when it was flipped around the straps appear on the top. Instead of attaching clips, I can just tie them at their required length. Easy. 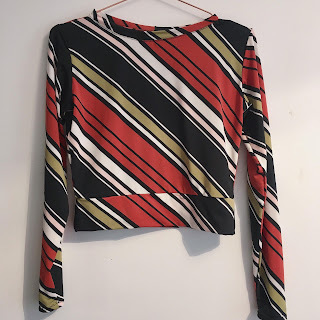 My third make this month was a trusty Seamwork Astoria, using the striped spandex viscose from Minerva Crafts. The fabric was a lot more spandex/slippery than I thought it'd be (the perils of purchasing online without samples). It was trickier to sew up and ironically my walking food made things worse! After finally combatting the stitch length/tension ordeal, the top came out OK. It's great to wear under dungarees. The fabric is so clingy so I'd be conscious of wearing it without anything covering up my bra lines! Since making this top, I decided I needed a pattern for more form fitting fabric. I've also been after something with a mock polo neck. 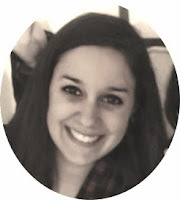 So, I opted for the Megan Nielsen Rowan top/bodysuit for my next super stretchy spandex project! More of that coming soon. Finally, the gorgeous floral viscose from my haul was meant to be a Megan Nielsen Sudley dress. I loved the idea of a dark floral floaty dress to transition from Winter to Spring. Alas, the fabric was used for something else not on the plan. My winter coat is STILL on the go. It's nearly finished, but I just can't be bothered anymore. Winter is now over so I won't even get to wear it. I originally made it with some slipper acetate style lining that was in the stash, but it was SO NOISY. Any time I moved I would be making a sound. This wasn't good. So I unpicked the entire lining and re-created using the viscose from the stash. It's just about slippy enough for the sleeves, but most importantly it's quiet. I'm sure I'll buy more of the same fabric for the Sudley dress as it's such good value. But, that means another fabric haul which is bad for my bank balance! There are LOTS more plans for spring/summer sewing so make sure you check back soon to see what I'll be sewing next.